Dr. Anand’s current research is investigating the causes of cardiovascular disease among ethnic groups, population health including genetics, and women’s cardiovascular health. Anand SS, Islam S, Rosengren A, Grazia Franzosi M, Steyn K, Afzal Hussein Y, Keltai M, Diaz R, Rangarajan S, Yusuf S. Risk Factors for Myocardial Infarction in Women and Men: Insights from the INTERHEART Study. Euro Heart J 2008 Apr;29(7):932-40. Anand S, Yusuf S, Jacobs R, Davis D, Gerstein H, Lonn E, Yi Q. Risk factors, atherosclerosis, and cardiovascular disease among Aboriginal People in Canada: The Study of Health Assessment and Risk Evaluation in Aboriginal Peoples (SHARE-AP) Lancet 2001 Oct 6;358(9288):1147-53. Anand SS, Yusuf S, Vuksan V, Devanesen S, Teo KK, Montague PA, Kelemen E, Guo T, Lonn E, Gerstein H, Hegele RA, McQueen M. Differences in cardiovascular disease between ethnic groups are not explained by conventional risk factors or atherosclerosis. The Study of Health Assessment and Risk in Ethnic Groups (SHARE). Lancet 2000; 356: 279-84. Dr. Milan Gupta received his MD from the University of Toronto in 1988. Following completion of internal medicine and cardiology residencies in Toronto, he received certification by the Royal College of Physicians and Surgeons of Canada, as well as by the American Board of Internal Medicine. He holds additional certification status by the American Society of Nuclear Cardiology and by the North American Society for Pacing and Electrophysiology. 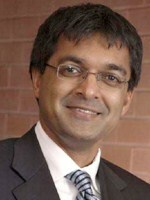 Dr. Gupta is an Associate Clinical Professor of Medicine at McMaster University in Hamilton, ON. He is also an Assistant Professor of Medicine at the University of Toronto, Adjunct Scientist in the Division of CV Surgery and an Affiliate Scientist at the Li Ka Shing Knowledge Institute at St. Michael’s Hospital in Toronto. He is a co-founder and past-chair of the Greater Toronto Area Community Cardiovascular Specialists (GTACC), and past Board of Directors member of the Cardiac Care Network of Ontario. He is Treasurer and Executive member for the Canadian Cardiovascular Society, and has served as chair of the Local Arrangements Committee and member of the Scientific Program Committee for the Canadian Cardiovascular Congress. He is also the Medical Co-Director of the Canadian Cardiovascular Research Network. Dr. Gupta speaks widely on a variety of topics, and serves on numerous professional advisory boards. 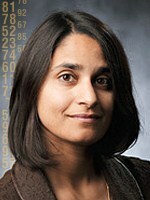 Dr. Gupta has a strong interest in developing innovative continuing medical education initiatives. He holds multiple peer-reviewed grants and has published numerous clinical research papers. Dr. Gupta’s research interests include South Asian heart disease, management strategies for acute coronary syndromes, and emerging risk factors in vascular disease.